Ever wondered how efficient your fridge is? Mine with a set point of 9 degrees needs to cool for 45 minutes(compressor on) and seems to keep the cold for another 45 minutes(compressor off). The temperature seems to oscillate ±1.5 degrees as you see in the pic. I wonder how well other people's fridges perform. Should I change it? I wish everyone was posting their data! I am using a ESP8266 connected to an LM75 sensor. 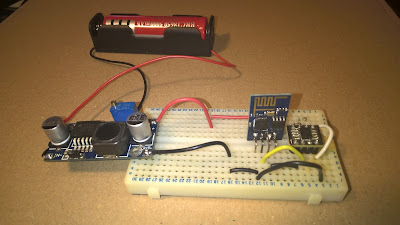 I am using a 5000mAh 3.7V battery connected through a step down voltage regulator to get 3.3V. The device has been running for 37 hours thanks to using deep sleep. 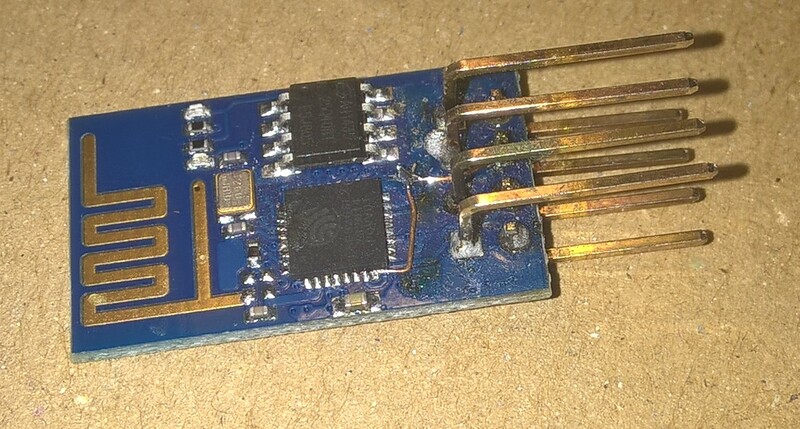 Every minute the ESP8266 was waking up, measuring the temperature, sending it to a server and then back to sleep. Just for laughs I'm going to elaborate on this server, it is just an old 'HTC Desire S' cellphone that is running Debian linux. This cellphone is now my cloud and it is running 24/7, it has installed PHP, nginx, mysql, samba, minidlna, ssh, avahi, and OpenVPN so I can connect remotely and have full access to everything. One would expect that the ESP would be the first one to notice the lack of power! The time stamps are generated in the server so this seems to imply that the ESP was doing its job at the right intervals. If people show enough interest I will tidy up the code and upload it to github.